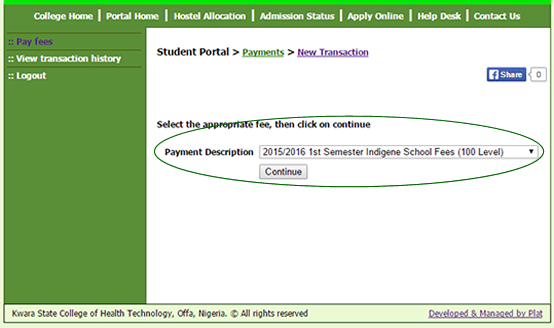 Returning students: use the form below to view your right matric number syntax for logging in. 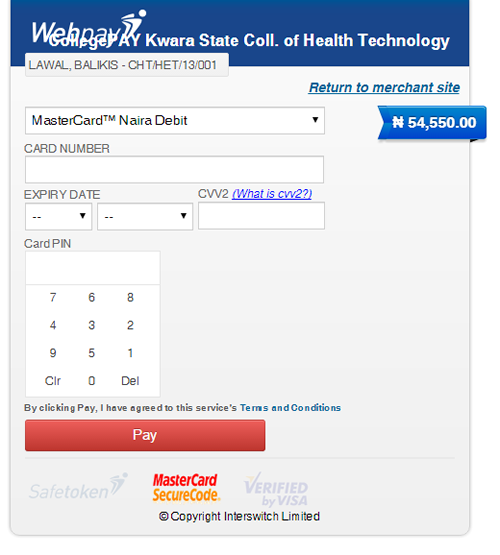 Follow the steps below to make payment via Interswitch. 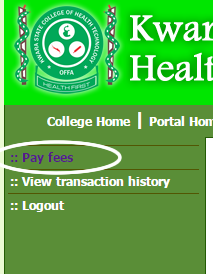 After logging into the portal, click on the Pay Fees link. 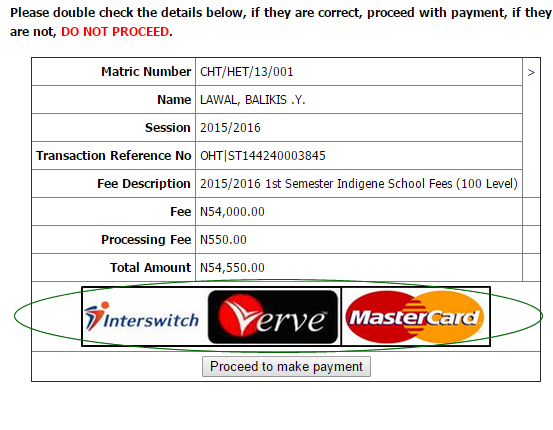 Select payment type (ie School Fees, etc) you want to pay the fee for. Your details (matric number, name, level etc), amount to be paid, the transaction fee and the REFERENCE NUMBER will be loaded. You are to ensure that these details are all correct. Click on the Proceed to make payment button. A page with an InterSwitch interface will be loaded. Select your card type; MasterCard or Verve. Kindly note that some banks require that users request for their cards to be enabled for online transactions. Please confirm from your bank if you have never used your card for online transaction before. A message is displayed for you to confirm payment, click OK. Your detail is submitted to INTERSWITCH for verification/processing. You will see a message of success or failure of payment and the reason for failure where payment was declined. The bank may send you email plus SMS or either. Please always ensure your card is well funded to before payment attempt. 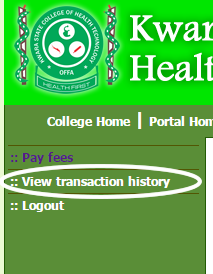 After logging into the portal, click on the View transaction history link. A page will open showing a table containing the details of all the transactions you have made. 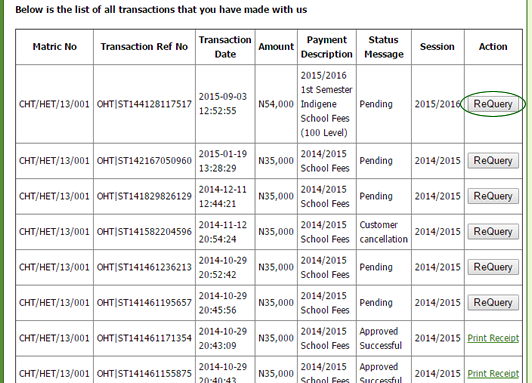 If a transaction status is showing '(pending)', you will find a 'Re Query' button under the 'Action' column on the same row, click on the 'Re Query' button to get the status of that transaction.